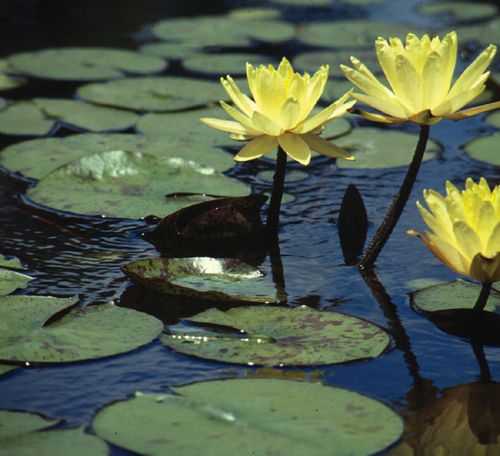 A favorite among all waterlily owners. Bright yellow blossoms are held regally above richly mottled foliage. Profuse bloomer.